THE OFFICE IS LOCATED ON THE CORNER OF VENTURE PLACE AND SCHORRWAY DRIVE NW. WHITE CASTLE RESTAURANT IS ACROSS THE STREET ON SCHORRWAY ANDFIFTH THIRD BANK IS ACROSS THE STREET ON VENTURE PLACE. OTHER NEARBY BUSINESSES INCLUDE LOWE'S HOME IMPROVEMENT CENTER, BOB EVAN'S RESTAURANTAND THE RIVER VALLEY MALL. The Lancaster Social Security office is located in Lancaster 43130. The following page includes information for this location like the office phone number, hours of operation and driving directions. 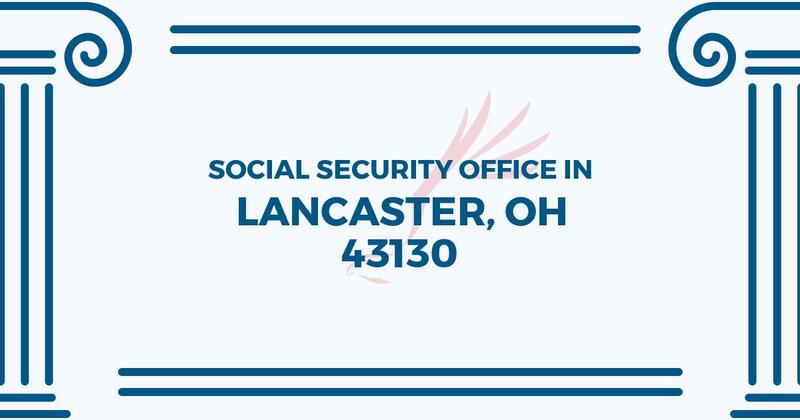 If you have any interests or comments about your retirement benefits or are interested in making an appointment, call the following Lancaster Social Security office. The Lancaster Social Security office is located at 252 Venture Place. The Lancaster office gives information, support and services led by the Social Security Administration. The following page includes information for this location like the office phone number, hours of operation and driving directions. If you have curiosities or concerns about your retirement Social Security benefits, or you need to schedule an appointment, contact the Lancaster Social Security office.